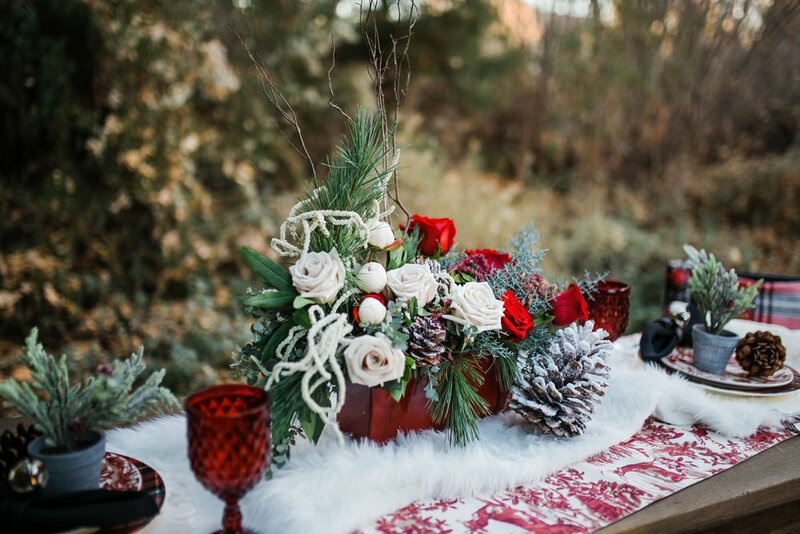 Winter is a wonderful time for weddings! 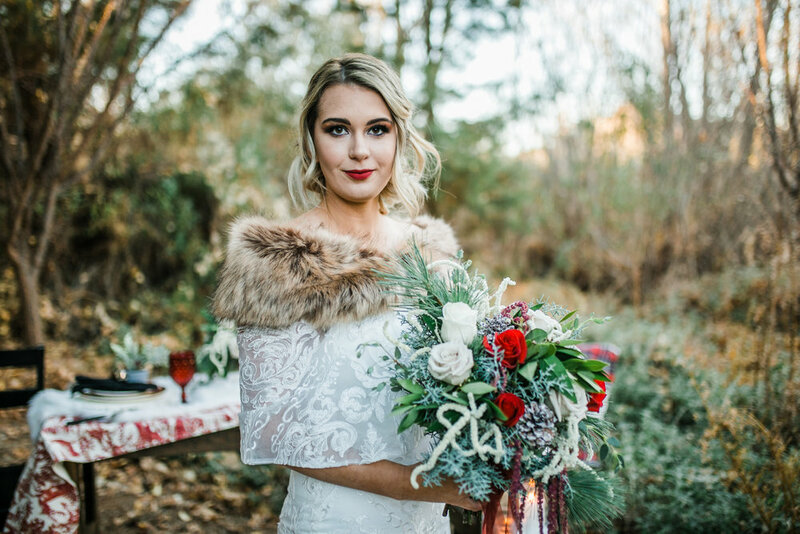 It's no wonder that so many brides opt for the warmer spring and summer months - after all, it makes for a gorgeous outdoor wedding! - but wintertime makes for equally beautiful nuptials. 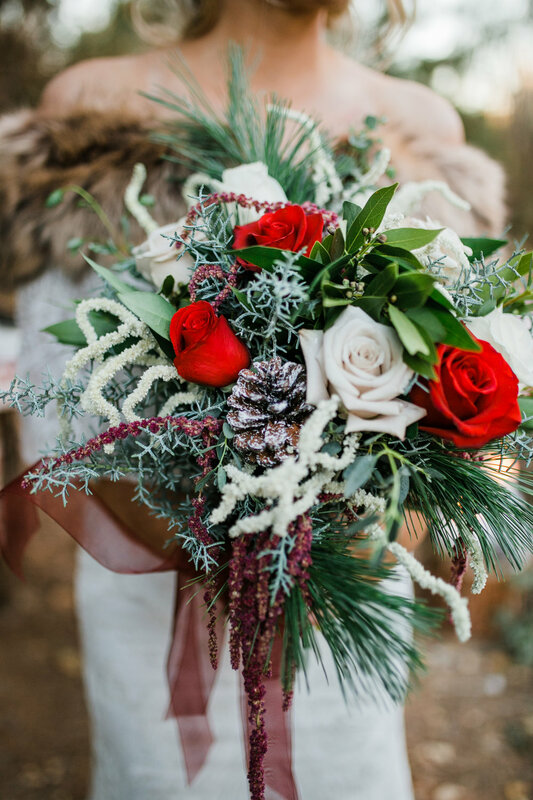 The most classic color scheme is, of course, red, white, and green, but you can make a wonderful bouquet with royal blues and whites, and plenty of other colors, as well. And look at this backdrop! The snow and fresh frost is too beautiful not to take advantage of!